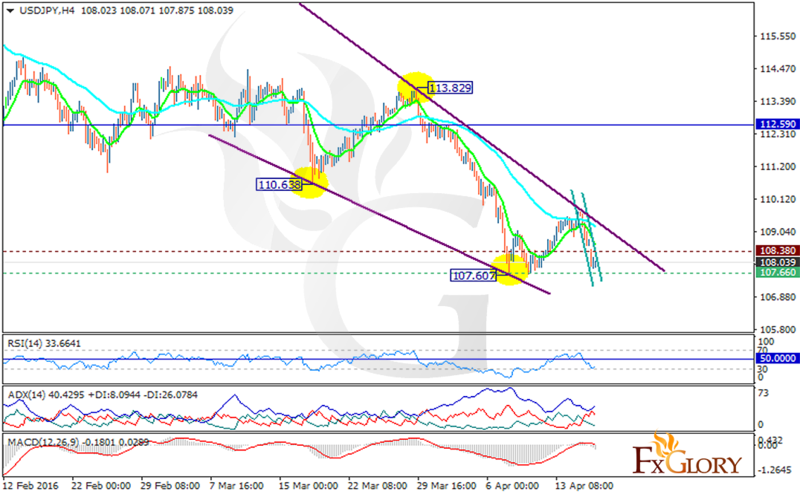 USDJPY started its downward trend from the last Friday and is going lower for today. This pair is under the influence of NAHB Housing Market Index, the US inflation decrease report and Japan Industrial production decline. USD seems much stronger than JPY. Support lies at 170.660 with resistance at 108.380 both below the monthly pivot point at 112.590. Last week USDJPY created a lower high than the previous high at 113.829. Not only the pair is going down the long term descendant channel but also it is falling down the short term descendant channel as well. The MACD is in neutral territory signaling the price correction. The RSI which is below the 50 level along with ADX are showing stronger sell signal. The EMA of 10 is below the EMA of 50 which shows the pair has been weakening recently. There is a strong resistance between 110 and 111 level. Short positions are recommended due to this chart setting.